The successor to SAP Business Suite, which will no longer be supported after 2025, will be replaced by S/4HANA, which has been available since 2015. SEAL Systems customers are now starting projects with S/4HANA, which raises the question of the compatibility of SEAL Systems add-ons with the software. 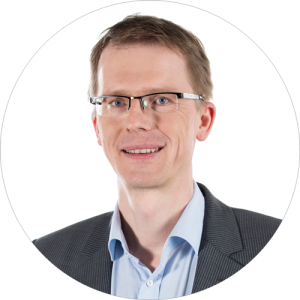 In this blog post you’ll read about how we help our customers with the transition to S/4HANA. Business Suite is available with the HANA database. The Business Suite on HANA had no impact on add-ons, in contrast to Business Suite using other data bases. New applications or updates are available through Enhancement Packages which also use the HANA database. S/4HANA, however, is different for some reasons. First of all, S/4HANA is not the official success or to Business Suite, meaning that commercial agreements must be set up again. Secondly, SAP was able to change and expand the software without the guarantee of complete compatibility. The HANA database is the only database system supported, and HANA functionalities are standard. Data models, e.g. for the materials tables, are consolidated to a few centralized tables. Duplicate functions were eliminated. Thus the message control is replaced with Business Rules Framework. 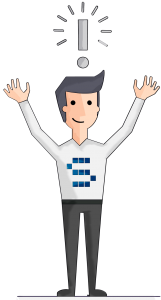 Business Partner replaces the previously used concepts of suppliers and customers, including Partner Objects. Certain applications are not yet or no longer supported, or have been discontinued. SAP Document Center replaces cFolders, and SAP Engineering Control Center replaces the CAD Desktop. These examples show that implementing in S/4HANA is a challenging assignment. The existing business processes must be evaluated and mapped to the SAP solution, for both new installation or migration of an existing SAP system to S/4HANA. Here too, having fewer functions means a chance to concentrate on the work of just one and not several applications. Along with a view to the business processes, technical aspects must also be considered. S/4HANA is delivered from SAP in different forms. These are the variants which are “On Premise”, i.e.installations on the customer’s own infrastructure or on SAP HANA Enterprise Cloud (HEC), “cloud private options” as complete ERP Cloud solution and “cloud public options” in different forms for predefined business processes. To support our customers with the transition to S/4HANA “On Premise”, we test current SEAL Systems add-ons on S/4HANA and adjust them where necessary. These tests have shown that in many cases the solutions work unchanged in S/4HANA. Small adjustments were necessary in some places, as interfaces and field lengths have changed. A larger task is the integration of Business Partner and Business Rules Framework for SEAL Systems process printing for purchasing, sales and billing. The application functionality test are followed by formal tests. These are supported by SAP through analyze tools in the system such as the Custom Code Analyzer and expansions in SAP Code Inspector (SCI). 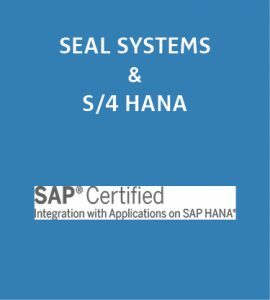 In addition to these own tests with S/4HANA, SEAL Systems will have selected solutions certified for S/4HANA by SAP, in order to additionally verify the compatibility with S/4HANA and the preparation and installation process. By this we plan to make the first important components available in Q4/2016 and to support S/4HANA with all significant solutions by the end of Q1/2017. Less used solutions will also be made available in the course of 2017. With these first S/4HANA projects in 2016 and early 2017, a close cooperation is especially important between customers, S/4HANA implementation partners and SEAL Systems, in order to be able to agree early and clearly on the scope of installation, priority of functions and the arising need for coordination. Are you planning a migration or installation of S/4HANA, and do you want to use solutions by SEAL Systems? Let us know!